It’s that time of the year again when Apple announces new features for all their products. iOS 12 has received some much-needed features and so has watchOS. So, it’s only fair that Apple TV gets some love too. Let’s take a look at what Cupertino has in store for Apple TVs today. As of today, all Apple TVs are 4K HDR compatible, allowing for a much better visual experience on compatible devices. No 4K HDR experience is complete without the audio to go with it, which is why Apple TV 4K now supports Dolby Atmos. Of what use is an HDR-ready, Dolby Atmos TV if no content goes with it? Which is why you’ll get a load of HDR content on your Apple TV via partners such as Netflix and Amazon. Several existing titles will also receive an upgrade to 4K HDR and can be accessed for no extra price. tvOS 12 will bring support for Dolby Atmos audio and work with the Dolby Atmos soundboard, the only soundbar to support both Dolby Atmos and Vision. Apple has also collaborated with several cable companies to bring Apple TV to their subscribers. Some of the companies include Calan+ in France, Salt in Switzerland and Charter Spectrum in the US. There’s even a new “zero sign-on” feature which allows all compatible apps to run without inputting credentials on supported networks. 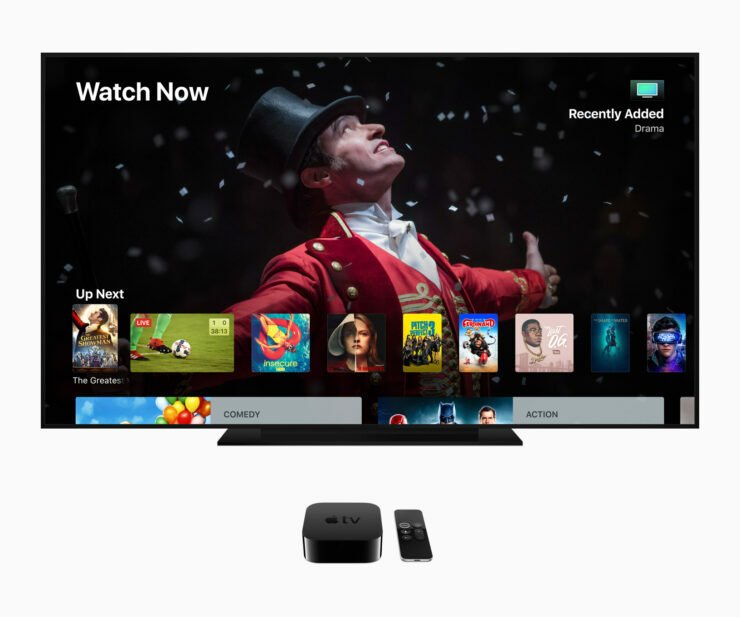 Apple TV detects the user’s broadband network and automatically signs them into all the supported apps they receive through their subscription Charter Spectrum will be bringing live TV to the app and be the first to support a new ‘zero sign-on’ feature. 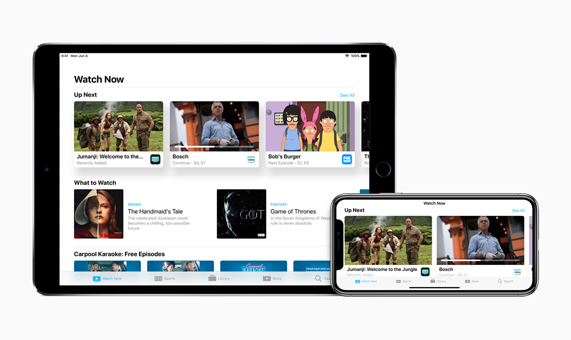 The new Apple TV app will be available on iPhones and iPads and is a one-stop solution for all your TV needs. Furthermore, you’ll get a redesigned Apple TV remote integrated into the control centre. Support for other smart home remotes from companies like Creston and more will be added soon. You can even talk to Siri on your TV with a future update. 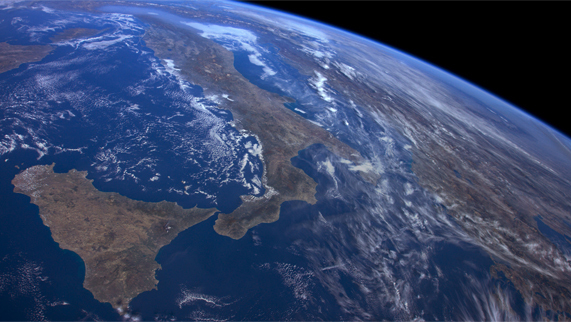 Last but not the least, Apple has collaborated with the ISS to bring you stunning 4K HDR images that can be interacted with.